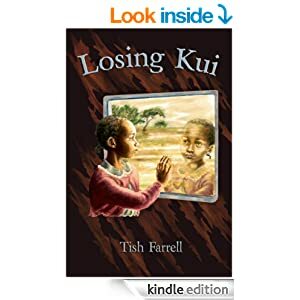 Posted on March 31, 2014 September 26, 2014 by Tish Farrell	This entry was posted in Books, creative writing, Creativity, fiction and tagged #amwriting, Bath Short Story Award, DP weekly writing challenge, inspiration, postaday, Ransom Publishing, Tish Farrell Writer, wplongform, Writerly reflections. Bookmark the permalink. Lots of good advice, Tish. As regards characterisation, it reminds me of something Beryl Reid the actress and comedienne said. When getting into character, she always started with the shoes. Thanks, Kate. Something to do with soul and sole maybe, and the way the wearer changes the shape of a shoe. You too, Nomzi. Has spring arrived with you yet? Absolutely. 🙂 This past weekend was the first sunny and warm weekend in months. It is wonderful to see the light falling on trees, the pavement, the buildings, the windows, people. How about you? Yes indeed. We’ve had some sun for three days now. It’s even warm. Wayhay. I’m off in a minute to my allotment to sow some parsnip seeds. I think there must be something in the soil up there: it’s been making me very excited! There’s lots advice about writing out there, most of it the same, yet your set had a freshness and sense to it. Thanks! Thanks for you comments, Cricketmuse. I’m never sure whether it helps others or not, spouting about one’s own stumbling blocks. I suppose I was responding to the mass media that tend to give the impression that being a writer is some sort of celebrity activity wherein you gather attention and large sums of money by putting out books at regular marketing intervals. Absolutely, Janet. It’s all about learning to be our own master, isn’t it? This post has great wisdom & advice! I almost waited until the crack of doom before I tried my hand at fiction – just because I waited for the great inspiration to hit me 🙂 Thanks for sharing your learning, it’s very valuable for “green hats” like me! You are most welcome, Tiny. Glad you found it useful. Love your blog. Will definitely peep in often! I’m glad you found the post useful. One never does know when one starts writing this kind of thing. I just felt that writing from where I had been/where I am, might strike some fruitful chords. This rings true to the wannabe writer trying to break out of my photographers dark room. I am no raconteur and send people fast asleep within seconds of starting my witty story or amusing anecdote. However with the written word l seem to be able to weave enough interest for the reader to actually, occasionally, turn to Page 2. Your words are often magical and conjure the magic of the people and places you write about – a rare gift indeed – thank you for sharing a few of your secrets with us, l for one, need all the help l can get. Thank you for your very kind words, Dan. All I can say about writing when it comes down to it, is keep doing it. It is hard work. Words can be such lumpy things, and making pictures can often seem more satisfying. All the best on all creative fronts. Yes, it took me a while to see this. A good storyteller will win hands down, I think, even when their prose is clunky. Once I wanted to be a writer…but found that poetry suited me best. So many useful things put together here…Now my daughter is a writer instead. I believe many aspire to be but few have the rreal talent. I did not. That’s a brave self-appraisal on your part. Thanks for your kind comments. A very fine article, Tish. I gained something from it too. Thank you so much, Bumba. We’re all travellers aren’t whether on buses, bikes or fumbling in swimming pools. I popped back for a second read of this – love motivational pieces on writing – and realised I had not left a comment. I really thought I had, you know. Too much Jo’berg sun! Too much Jo-berg sun indeed. Envy, envy. I wish I was good at doing initial drafts. I just go straight for the finished thing which is a BIG mistake and leads to too much stalling and fiddling. Cheers anyway, Ark, and thanks for coming back to read AGAIN. I’m most impressed. The ideas so often arrive like a damn sleet storm that come out in a frantic deluge of writing. And then…exhaustion. After this, the drudge (real work) starts. I bookmark all the important ( and posh) posts and pop back every now and then. And by the way, the photo is smashing. Where was it taken, please? And is the shot ‘doctored’ in any way? I did manipulate the shot a little, but not too much. 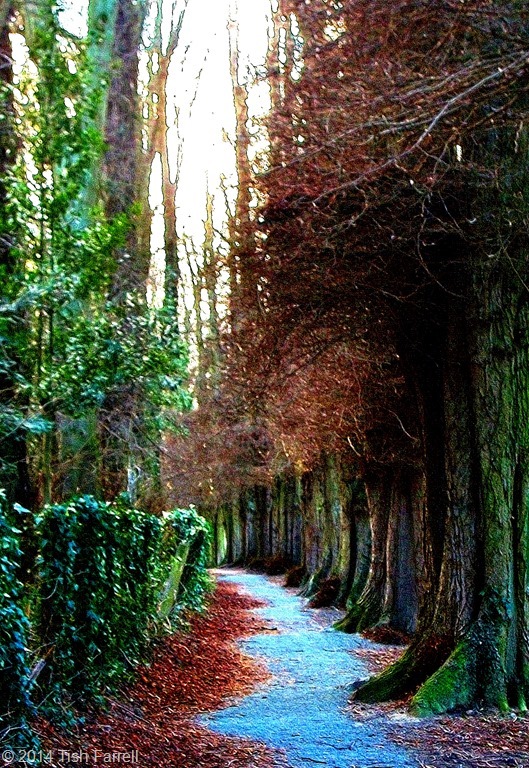 It’s the Linden Walk, just across the road from my house – an avenue of 150 year old lime trees, some planted by Dr William Penny Brookes, the town doctor and apothecary, who invented the modern Olympic Games in Much Wenlock in the 1850s. These modern Olympian games were held in the field beside the Linden Walk, and were quite famous in their day, with athletes coming from across the country, and a special train bringing in spectators (the GWR railway used to run Olympian specials that arrived on the other side of the Linden Walk). Baron Coubertin then came along for a few visits in the late 19th century (charged initially with picking Brookes’ brains about improving the fitness of the French army) and nicked the notion, thus eclipsing all Dr Brookes pioneering work on the benefit of physical exercise. After much lobbying, Much Wenlock did get some grudging recognition by the current Olympic Committee, hence the hideous Wenlock mascot in the last games. It’s quite a story really. Penny Brookes designed fantastic medals for the winners, though I think his wife had to foot the bill for them since she had all the loot. I think I need to do a post about this now. You should! That was a fascinating two minute read. I love quirky bits of history, and I’ll bet you are a goldmine, Tish. That you were able reel off that compact history lesson is evidence of this. Mr Williams sounds amazing – you don’t get many Heads these days who get involved with the students – they seem to be all rather busy keeping on top of figures and league tables which is terribly sad. Welcome back Tish – I’ve missed your posts! Thanks, Selma. And nice of you to miss my posts. I have been posting though. A few since this one, including one on Elmenteita which might be of interest! 🙂 BTW, that Swiss chard tart recipe of yours looks delicious. Was looking at it earlier. If you go to my latest post, you’ll also see my Swiss Chard in the allotment. HI Tish – I realised after I commented that you had been posting – I must have missed them in the Reader. I will save them to enjoy later on!! I did see that you were growing Swiss Chard and thought how lovely!! What you do with the comfrey is quite something! Thank you for your comments, Holistic Wayfarer. It’s interesting how many writers have ideas, and then find a million ways to avoid putting them into practice. Taking action in the first place seems to be the biggest step of all. Thank you so much for this post, I don’t know how I missed out this one earlier. The points you have mentioned here from your experiences are really going to help me a lot. I am at such a juncture in y career that I need some inspiration to move forward and this post is surely going to help me. You are more than welcome, Sreejith. It is not an easy path being a writer/artist: you can exhaust yourself with all the trying and be distracted by all the media hype that surrounds best selling writers. I have found that asking oneself questions out loud about whatever is stuck can often help produce useful answers. Whereas mulling things round in your head for years does not. Good luck on your path. Somewhere in every writer’s life there must be one person who looks them in the eyes and says “You can do it” – then the writer must hold that memory and apply it frequently. Thank you very much. And yes, magic. I think I also want to find in books for grown ups too. that photo is soothing and beautiful! you’ll smile to know that i loaded the string of posts on your mainpage and look forward to reading the queue when i get home! there’s so much to enjoy, but the only negative part is that i won’t be online to give instant comments! thanks for sharing all that you do and for taking time to support others as well! ha- thank YOU for such great reading material! heading home now! A part of me yearns to be a writer but I would have started long since, wouldn’t I? I’m not an ideas person, just one who loves to play with words. Never too late to start, Jo. Lots of writers don’t get going until their latter years. If you have a story to tell, and I think you have plenty, then fire away. In fact, you have the proof of your popularity on your blog. People go there for the words and the company, not only the photos. You have an engaging ‘voice’ and that counts enormously. Thanks very much for the encouragement, Tish. I guess that’s what I hoped to hear. Thank you too. Keep writing. Thank you for these great advice on how to hone down the skills of fiction writing. This was very helpful. So glad it helped Dr. Y. Happy writing!